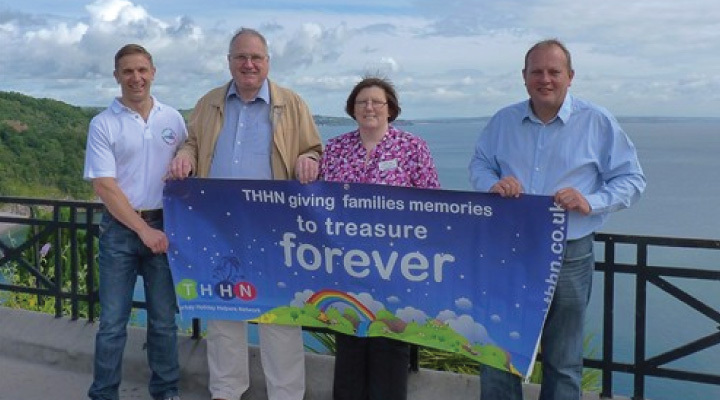 The various events that took place in the huge HSBC Marquee on Babbacombe Downs as part of the Babbacombe Festival at the end of June have been hailed a spectacular success by organisers after raising over £16,000 for chosen charity, Torbay Holiday Helpers Network. David Hanbury and Martyn Strange, who were responsible for the majority of events that took place within the marquee, produced an incredible weekend of entertainment with something for all tastes and all budgets. Armed Forces Day on the Saturday, which is put on in conjunction with Conway Hoare of Torbay Council, saw Babbacombe Downs heaving with people. There were stands, live music, the wonderful Veterans’ Parade and, this year, a fantastic air show featuring aircraft including the Twister Air Duo, an RAF Hawk and a Spitfire. This was all laid on entirely free of charge to anyone who cared to come along and soak up the atmosphere. After the veterans enjoyed refreshments and entertainment in the marquee, the decks were cleared and the marquee was transformed into Babbacombe’s very own Sand’s Hotel in preparation for the first of the fund-raising events, Saturday night’s Rat Pack Vegas Spectacular. Over 300 people enjoyed Pimm’s, a delicious meal and then the superb Rat Pack live show. The event also featured an auction sponsored by Babbacombe Garage and compered by Simon Crawshay. Overnight the marquee was again cleared and readied for Hanbury’s Fish and Chips Music Festival which started at noon on the Sunday and continued into the evening. As ever, hundreds of people turned out to buy their fish and chips from Hanbury’s and then take them into the marquee to enjoy the non-stop live music and entertainment throughout the day. As well as an auction in aid of the THHN there was also a draw to raise funds for the Fishermen’s Mission which achieved nearly £800 for this worthwhile cause.